Older poweteers remember that during the 8 and 16 bit years, Capcom released several NES and SNES adaptations of various Disney properties of varying quality. The most well known of these games are a series of titles based upon Disney’s Weekday Afternoon cartoon block. 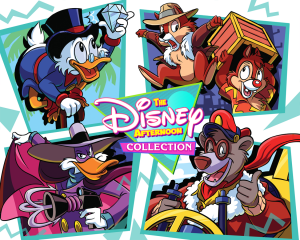 This April, Capcom, along with Digital Eclipse, who released 2015’s Mega Man Legacy Collection, will release The Disney Afternoon Collection, a compilation of 6 NES games. The games include Duck Tales 1 and 2, Chip and Dale’s Rescue Rangers 1 and 2, Darkwing Duck, and Talespin. The games will feature a rewind button, concept art, boss rush, and time attack modes along with the original games. The compilation will be available on April 18th for $19.99 for PS4, Xbox One, and PC. No doubt this is going to bring back memories of after-school homework and cartoons for many a gamer. In the past several years, retro games have been making a comeback via various “Plug ‘n’ Play” devices pre-loaded with a selection of classic titles. Sega, Atari, and SNK have all released mini-consoles featuring a selection of titles from a company’s past. 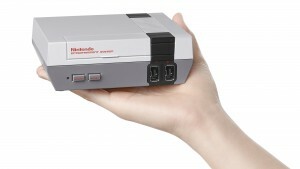 Surprisingly, Nintendo has now thrown its hat into the ring with the NES Classic Edition, a device containing 30 classic first and third party games from the NES era. Designed as a small version of the original NES, the game will contain HDMI hookups and a controller that’s a replica of the NES original. Players can pick up another controller for $9.99, and they have the option of using the classic controller or the classic controller pro. The mini-console won’t have any kind of internet connectivity (meaning the 13 included games are all that you’re getting), but the mini console will support emulator-style save states. The console will be available for $59.99 this November. Click after the jump to see the full list of games included with the device. In 2012, Rusty Moyher, Shaun Inman, and Matt Grimm worked together during the Ludum Dare game jam. Dureing the event, they created the game Super Clew Land in 72 hours. Inspired by the efforts, the three began a kickstarter that would see the trio develop 6 games throughout 6 months, each being developed in three days. Backers would vote on a theme, and when the game was finished, they would be able to play the finished effort. The 6 games were collected in this compilation, and you can buy it on steam now. Each of these games could easily pass as an NES classic, and each of them have their own little quirks. Many indie games that have been released within the past few years channel the spirit of 8 and 16-bit classics via retro-styled gameplay, simplistic graphics, or both. Shovel Knight does more than simply pay homage. Developer Yacht games developed it’s 2014 debut as if were a Nintendo title, limited graphics palette, chiptune soundtrack, limited button scheme, and all. 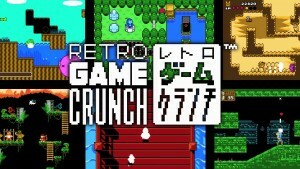 The game was inspired by classic titles such as Mega Man, Castlevania, and Zelda II among others. Playing as Shovel Knight, you explore a fantasy landscape as you make your way to a mysterious evil tower to rescue your one-time partner, Shield Knight. 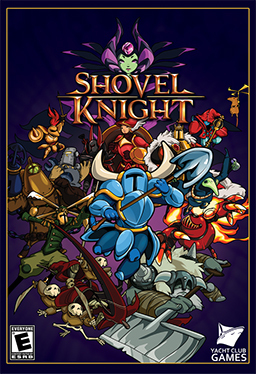 Shovel Knight’s shovel is used to attack enemies, break down barriers, and dig up treasures. You’ll run into several bosses, and between levels you can visit a town to purchase new abilities, upgrade your character, and interact with townsfolk. Had this game been released on the original NES, it would have been fondly remembered as one of the system’s top games alongside games like Contra, Punch Out, and Super Mario Brothers. As it is, this game is one of 2014’s best titles. Fans of classic gaming will definitely want to check it out, as it will make them reminiscent of the games of their youth. 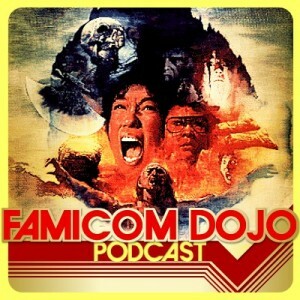 Newer gamers will want to check it out as well to see why exactly it is we still love those classic NES titles. Rob Matsushita is a Madison, WI based filmmaker and playright. More importantly for our purposes he is also host of the 10 Minutes About Your Favorite Movie podcast on the Little Podcast Network. 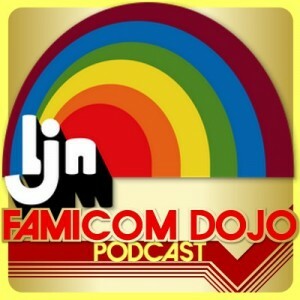 We’re big fans of his show, and thought that the best way to get Dojo Disciples to become fans to is to show him how awesome it is through the lens of video games. Fortunately, Rob plays them too. 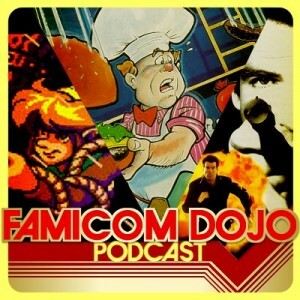 Vinnk, Sean, and Rob give each other their top five favorite games, and chose one to talk about for ten minutes. Er, apiece. This is Ten Minutes About Your Favorite Video Game! Times three.